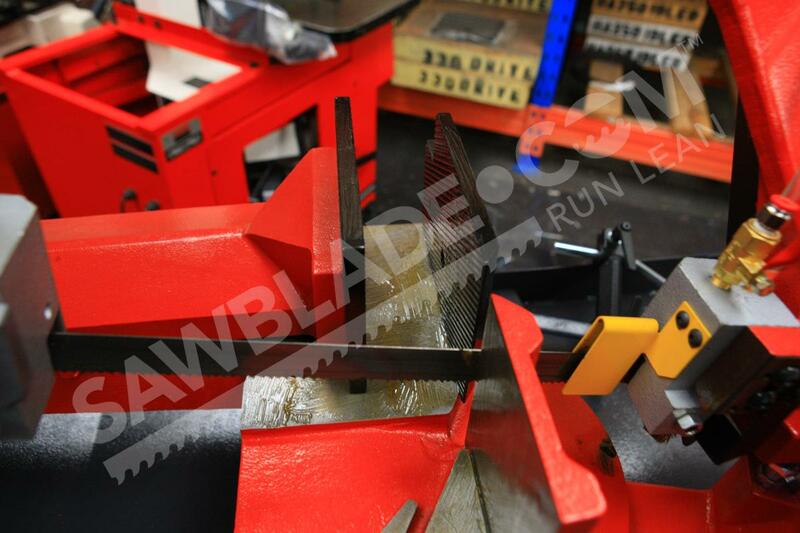 9 3/8" X 6 1/4"
6 1/8" X 4 1/2"
Sawblade.com offers band saws fine-tuned to operator’s needs. The Trajan 270 is no exception. Its impressive array of standard features make it well suited to a wide array of shops. If your shop prioritizes precision cutting, band saw blade protection, and quick clean up, the Trajan 270 may be ideal for your shop. The adjustable blade guide helps to ensure that the Trajan 270 band saw will make the precise cut that the operator sets. The blade tension indicator helps operators to get the exact cut they require for delicate applications. 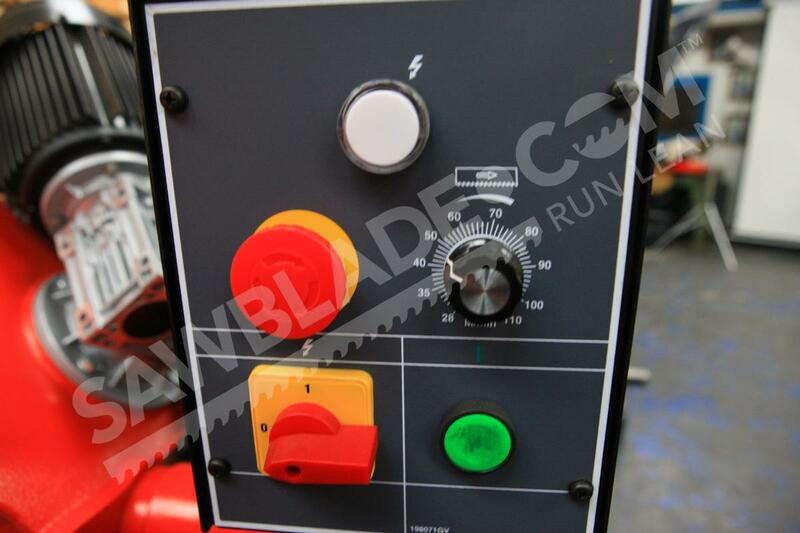 Adjustable hydraulic downfeed controls also ensure that the saw cuts exactly as the operator intended. 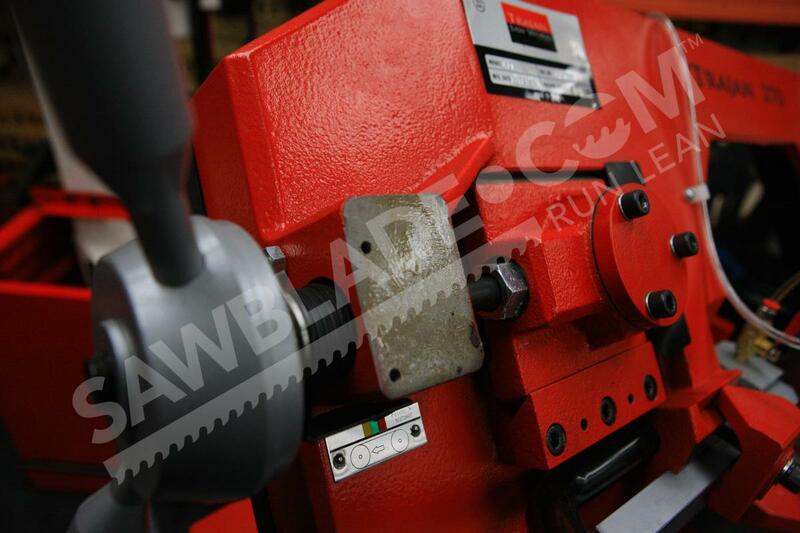 The Trajan 270, like all Trajan band saws, is engineered to protect the band saw blade it’s using. 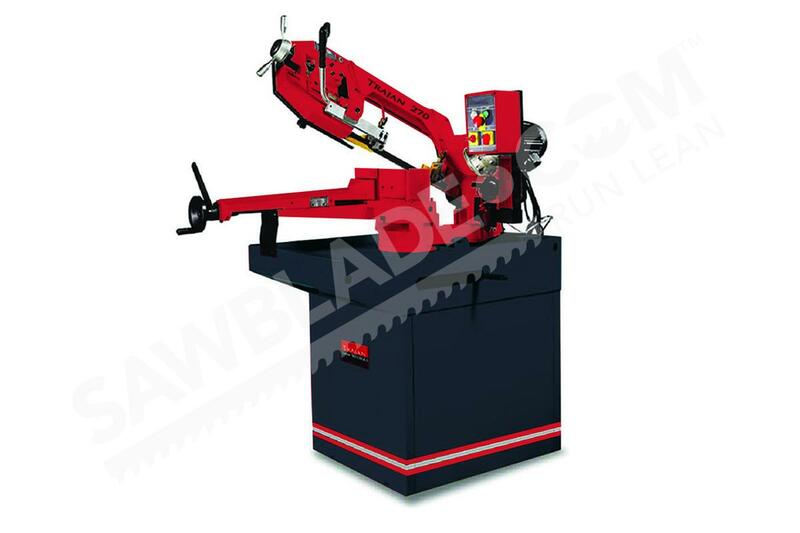 Years of experience in the band saw industry has taught us what to prioritize in saw design. 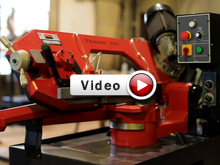 Many of the factors that make Trajan cutting machines to accurate also helps protect the band saw blade: the less vibration, the less wear and tear the blade has to take. Built with operator convenience in mind, the Trajan 270 band saw has a coolant pan designed to collect chips and coolant while the saw makes a cut. This feature makes for quick clean up between jobs. The chip brush also helps to sweep debris away from the cutting surface, which contributes to our effort to reduce blade damage. Efficient and powerful, the Trajan 270/270SV band saw performs successfully in professional environments. 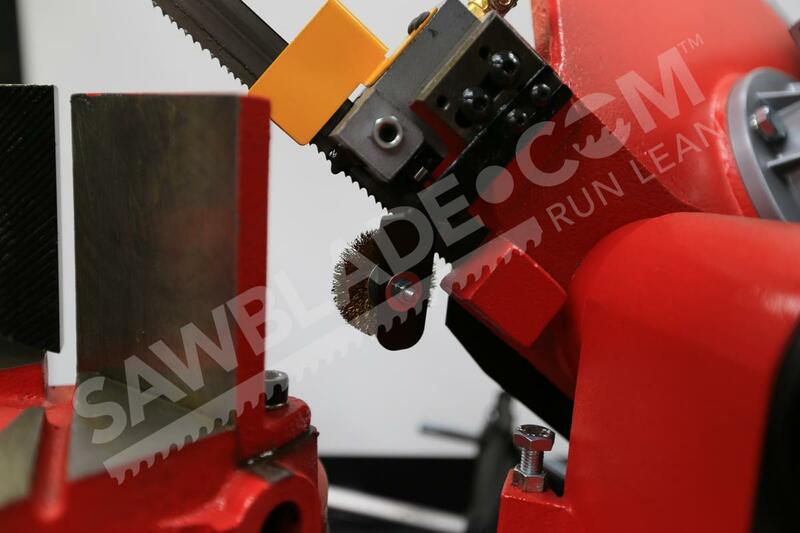 It has an adjustable blade guide for high precision, which also helps prolong the band saw blade’s life. 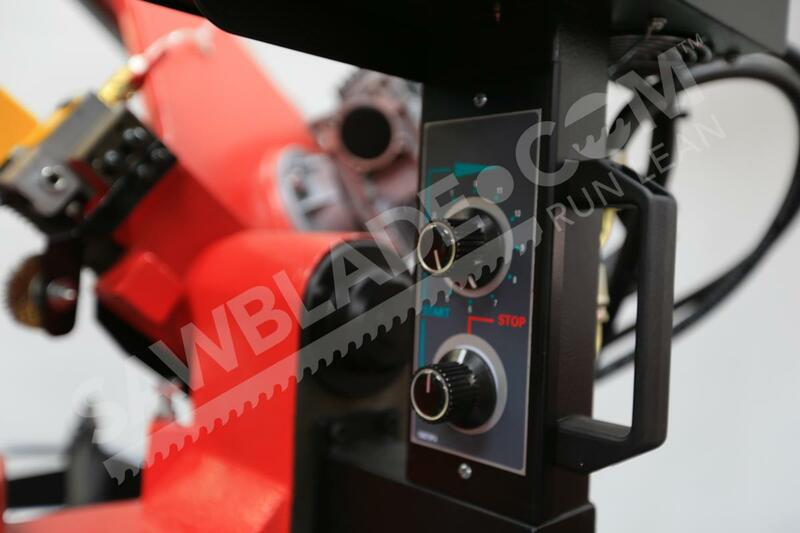 With a blade tension indicator and fully adjustable hydraulic down feed, you can make accurate cuts. Choose the Trajan 270/270SV band saw for your professional fabrication workloads.